If there’s one thing billionaire entrepreneur Richard Branson really likes, it’s to-do lists. He has written about lists several times for the Virgin blog. In a recent blog post, Branson wrote about an old diary from 1972 found by his friend Kenny Kemp. 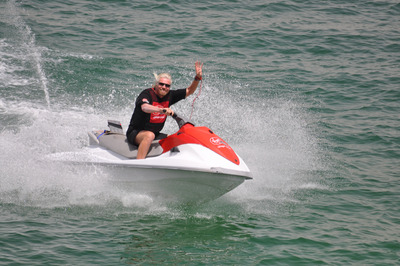 In it, Branson had written a simple list of things he wanted to achieve — both large and small. You can see the list in Branson’s tweet below. “As you can see, the bullet points range from lofty ambitions like learning to fly and opening more Virgin Records stores, to inviting people around and buying bits and pieces for our record studio The Manor,” he wrote in the post. He also points out you can see some scribbles about an album on the page above. Branson said lists are a great way of structuring what you need to get done, but they also help us to set goals and achieve our dreams. 45 years on, Branson has a net worth of about $US5 billion (£3.9 billion), and the Virgin group owns about 200 companies all over the world. So it’s safe to say he ticked off all bullet points and then some.